Learn to surf in a fun group environment. Great for those brand new to surfing or those that have been for a few lessons. We provide all the gear you need with a range of surfboards for all levels and wetsuits for all sizes. 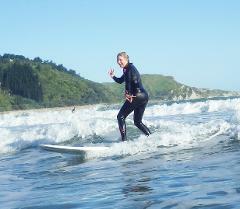 Learn to surf one on one with a qualified surf coach or choose who else joins you for the lesson. We provide all the gear you need with a range of surfboards for all levels and wetsuits for all sizes. The most cost effective way to Learn to surf in a fun group environment. Great for those brand new to surfing We provide all the gear you need with a range of surfboards for all levels and wetsuits for all sizes. We will aim to create a fun learning surfing experience creating a supportive learning environment for girls to thrive in. We provide all the gear you need with a range of surfboards for all levels and wetsuits for all sizes. 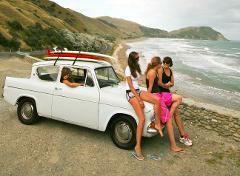 Make way for the Mums, come along with a mate or two to get out in to the elements and develop those surf skills. We provide all the gear you need with a range of surfboards for all levels and wetsuits for all sizes.